Boston Celtics point guard Kyrie Irving is going back on his previous commitment to the team. When Irving was asked if he would re-sign with the Celtics, he stated, “Ask me July 1,” referring to the first day of NBA free agency. 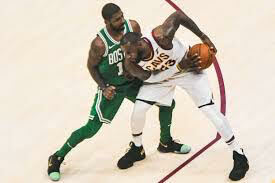 Irving added, “At the end of the day I’m going to do what’s best for me and my career.” This is a change from early October when Irving told fans at TD Garden he intended to stay in Boston, “if you guys will have me back.” In the time between the two comments, the Celtics have had rough patches that led to Irving calling out teammates after a loss to the Orlando Magic.